Everyone loves the appeal of kitchen renovations, as they often improve a property’s value while also creating a beautiful space for daily enjoyment. However, many homeowners take on their DIY projects without taking into account all of the considerations involved with a complete remodel. Costly setbacks, amazing deals on new materials, and everything in between can play a major role in the overall quality once the dust settles (and is swept away). We all have that one friend who got in over their head with home renovations, spending way more than intended while often not achieving the desired style. It’s important for you to find a team of trusted home remodeling contractors to assist with any major renovation projects, and Detail Design & Remodeling is here to help! Our team knows all about being affordable. As Georgia’s cabinet refacing professionals, the Detail Design team is able to deliver personalized results relying on old-world craftsmanship for quality that lasts. Read on to continue learning about our kitchen budgeting tips before calling our team today! 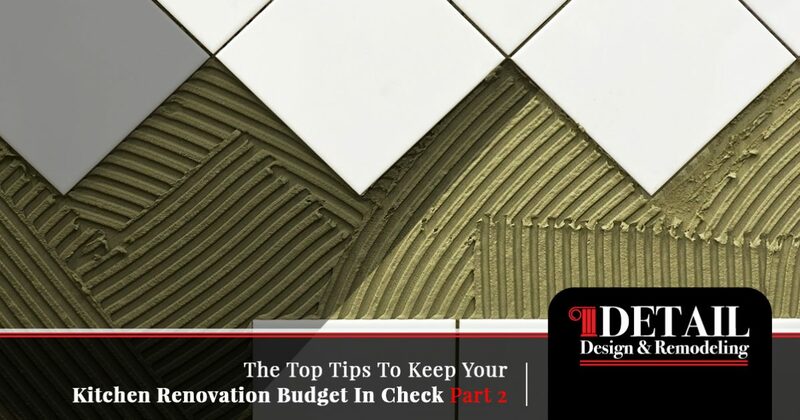 While being told to spend a little more to save money on your kitchen renovation may sound strange, it’s important to remember that this is the perfect opportunity to invest in better materials and hardware. Why? Old, worn-out hinges may not be able to perform as long as the new kitchen updates, necessitating future repairs and replacements. Your beautifully refaced cabinets will be sure to impress guests, but only if they are secure and level across your kitchen. New hardware is often one of the most affordable ways to improve the look and overall value of your updated kitchen. Handles, knobs, and all of the other elements present can wear down over time, looking listless and dull. New, cost-effective pieces can provide a nice “facelift” to further accentuate the beauty of your design. Ultimately, this small improvement will provide a major benefit in the outcome, giving you additional enjoyment on a daily basis. Additionally, these improvements can make your home more attractive to potential buyers, giving future sellers plenty of incentive to invest. One aspect of many kitchen renovations that can increase the homeowner’s costs in a hurry is purchasing new appliances. Old, worn elements such as your stove, range, dishwasher, and microwave will likely look out of place surrounded by beautiful new materials and surfaces. Make sure your appliance budget is built into the plan early on. Many homeowners find success seeking out deals in the months or weeks leading up to their big remodel. Procrastinators are often stuck with appliance sets that are either incongruent with the kitchen design, or left paying way too much for a quality set. Your sink is also one fixture that should be focused on for the best results. Balance the importance of quality in your remodel with your budget, and look for styles that meet both perfectly. Spending too much on a sink can leave your budget tighter than before, but keep in mind that skimping out on a quality fixture may leave your remodel looking a little off. Determine your price point early on, and focus on sink options that meet your design needs. One cost-effective way to create a new look for your kitchen without paying for cabinet refinishing is to paint the shelves, doors, and box fronts yourself. Even the most crafty DIYers find themselves with finishes from a local hardware store that simply don’t shine like they should. Kitchen cabinets take up a large amount of wall space, making their appearance vital for the overall quality of your remodel. Instead of applying the new surface yourself, be sure to speak with our home remodeling contractors for assistance. We can work with you to personalize a plan that is cost-effective and beautiful. One of the most costly aspects of a kitchen design is building, finishing, and installing custom cabinet layouts. These boxes are meant to last for decades, providing staunch support and reliable strength. If your existing cabinets look old or faded but otherwise seem to be in good condition, cabinet refacing may be your best bet! Detail Design & Remodeling is proud to be your top kitchen cabinet refacing team in Georgia, delivering long-lasting results with our all-natural wood veneers. This service can prove to be an amazingly cost-effective alternative to new cabinets, only giving the front of your system an update. This keeps your existing plan in place, minimizing the labor and material costs in the process. Our home remodeling contractors in Dunwoody and Atlanta are here and ready to help you create your dream kitchen. We have the training and experience to offer quality guidance every step of the wear, delivering results that are beautifully affordable. 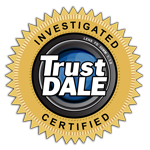 Contact us today to learn more, and be sure to schedule your free in-house consultation!